US Southern California based LIGHTNING STRIKES will release their self-titled full-length debut album through PURE LEGEND RECORDS on November 18th. Originally formed in 1985, LIGHTNING STRIKES were part of the then red hot L.A. metal scene and issued a now highly collectable 7” single, but the band has disbanded soon due to the war. It's been a quarter-century since the founding member/drummer Karpis Maksudian decided to pick up the pieces as it were and resurrect the dream. 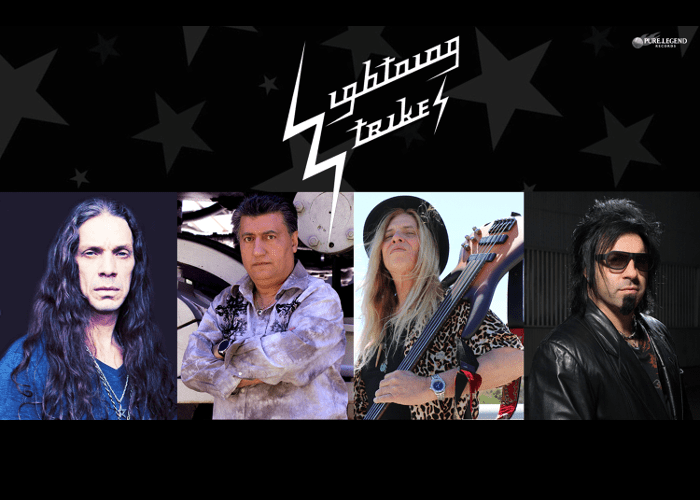 The current line-up is Nando Fernandes (HANGER) on vocals, Cat Tate on bass, Rob Math (LEATHERWOLF, PLAYER) on guitars, and Karpis Maksudian on drums. The album features special guests, Derek Sherinian (DREAM THEATER, KISS) on keyboards, Tony Martin (BLACK SABBATH) on vocals on “Death Vally” and “301 AD Sin Of Our Fathers”, and Noah (AVANCHICK) on vocals on “Kamikaze”. Mixed by renown guitarist/producer Roy Z (JUDAS PRIEST, BRUCE DICKINSON, HELLOWEEN) and mastered by well known engineer Maor Appelbaum (HALFORD, YNGWIE MALMSTEEN, ANVIL). 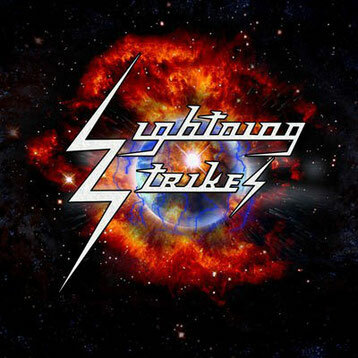 LIGHTNING STRIKES delivers a formidable old school heavy rock experience, rooted in the vintage sounds of RAINBOW and DEEP PURPLE (on this album, the seldom covered “Our Lady” is covered as a mark of the LIGHTNING STRIKES’ respect for the British masters), and classic 80s' power metal with an epic touch as espoused by Martin era BLACK SABBATH.